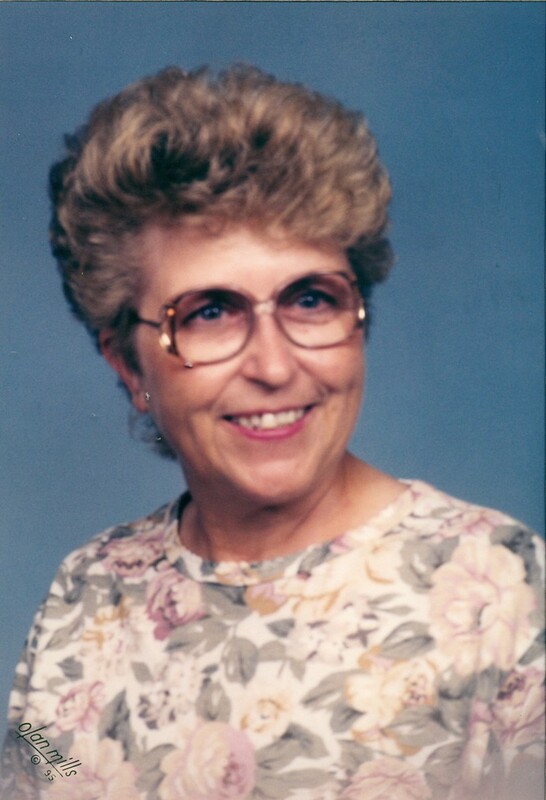 Norma Jean (Decker) Taylor, 79 years of age, of El Dorado Springs, Missouri, passed away November 10, 2018, at Lake Stockton Healthcare Facility. Norma was born September 18, 1939, in Dade County, Missouri, the daughter of Charlie E. Decker and Myrtle I. (Topper) Decker. Norma graduated from El Dorado Springs High School in 1958. Norma J. Decker and Raymond L. Yarnell were married from January 9, 1958, until January 1971. To this union four daughters were born: Pamela Jean Forest, Sandi Rae Bouchard, Cheri Kay Allison, and Terri Lynne Carver. Norma and Raymond lived in California, Louisiana, and Texas during Raymond’s time in the Air Force. On August 18, 1972, Norma and Clarence A. Taylor were united in marriage until Clarence’s death April 9, 2016. Norma and Clarence spent their time together in El Dorado Springs, Missouri. Norma was a homemaker until her daughters graduated from high school. She worked at the Dunbrooke Shirt Factory until it closed. Norma went back to school for business/office administration. She worked at Brower Monument until retirement. Norma was an avid reader. She also worked on crossword puzzles or word search puzzles. Norma loved working in her vegetable and flower garden. She would feed all the birds and squirrels that came in her yard; they knew where to get food. The birds kept her very busy filling the feeders for them. Hummingbirds were one of her favorites. Norma collected salt and pepper shakers from all the places she visited. Friends and family also collected them for her. She enjoyed going to yard sales and flea markets. Norma was preceded in death by her husband, Clarence A. Taylor; her father, Charlie E. Decker; her mother, Myrtle I. (Topper) Walker; stepfather, Bill Walker; sister, Viola (Weems) Frazier; stepson, Donald Taylor; grandsons, Mark Miller and Nathan Allison; and granddaughter, Khara (Allison) Julian. Survivors include her daughters: Pamela (Yarnell) Forest of El Dorado Springs, Missouri; Sandi (Yarnell) Bouchard of San Antonio, Texas; Cheri (Yarnell) Allison and husband Greg of El Dorado Springs, Missouri; Terri (Yarnell) Carver and husband Shane of Monte Vista, Colorado; sisters, Charlene Johnson and husband Russell of Weaubleau, Missouri and Patricia Bender of Vandalia, Missouri; brother, Charles Decker of El Dorado Springs, Missouri; and numerous grandchildren, great grandchildren, nieces, nephews and a host of family and friends. A memorial service for Norma will be held on Saturday, November 17, 2018, at 2:00 p.m. at Bland-Hackleman Funeral Home, 3150 US Highway 54, El Dorado Springs, Missouri. A family luncheon will be graciously provided by the ladies of the Church of Christ at 12:00 p.m. at 302 E. Hospital Road, El Dorado Springs, Missouri.